Through it all – casting changes, recuts, reshoots, August opening date – I remained cautiously optimistic. 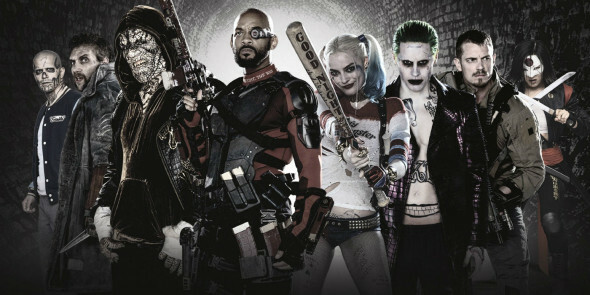 Suicide Squad could be good. Why? Because the villains are the most interesting part of the DC universe and the idea of a film unburdened by some superhero or another’s conflicted conscience or internal crisis, free to revel in the wing-nut chaos of nothing but villains felt fresh and risky. And there’s not one but nine villains … yeah, nine is a lot. It could be tough to piece together a story that feels less like a cattle call than a coherent film. But Suicide Squad offers a marginally promising cast. Will Smith is tired, but Jared Leto (hot off his Oscar) as the Joker can’t help but pique interest, and Margot Robbie’s done nothing but impress (until Tarzan, anyway). Plus – get this – the genuinely excellent Viola Davis takes on ringleader duties in a film that corrals all the nastiest bad guys for a black ops mission against a meta-human menace. When Viola Davis can’t deliver, your movie is doomed. Writer/director David Ayer has quietly built a solid career with incrementally more thoughtful, more brooding, more violent action films. For those who thought the DC catastrophe Batman V Superman was dark, Ayer was the promise of something truly gritty. And what more does he need? All the “worst of the worst” gathered together, leading a mission to save the world or die trying – and maybe die when they’re finished, because we certainly can’t let them out, right? They’re the worst of the worst! Except for the one who really just wants to know his daughter’s OK. Or the one who’s reformed, his conscience keeping him from fighting this fight. Or the one who’s not bad, she’s just in love. Or the others who are absolutely useless to any mission and are here just to clutter up an over-packed, under-impressive landscape of bloodless action and uninspired set pieces. Ayer has shown promise across his previous five films, but self-serious drama tends to be his undoing. Imagine how he struggles with tone in this would-be flippant exercise in comic book self-indulgence. Robbie and Smith try to instill some badass levity, but any success is due to their talent and timing because there’s not a single funny line in the film. Leto’s little more than a glorified cameo in a landscape so overstuffed with needless characters that you’re almost distracted from the stunning plot holes and absence of narrative logic. Suicide Squad is not going to save this disappointing summer – you should save yourself the aggravation.